There has been a lack of blog posts lately and I apologise for the somewhat sporadic content which has been hitting the blog. The main reason for this is due to the fact that I have been battling with my dissertation in order to finish it before the deadline date which is tomorrow. I am rather happy to report that it was submitted at 10am this morning so I have been able to relax, take a few blog photos and get back to what I do enjoy; it has been rather nice I must say. 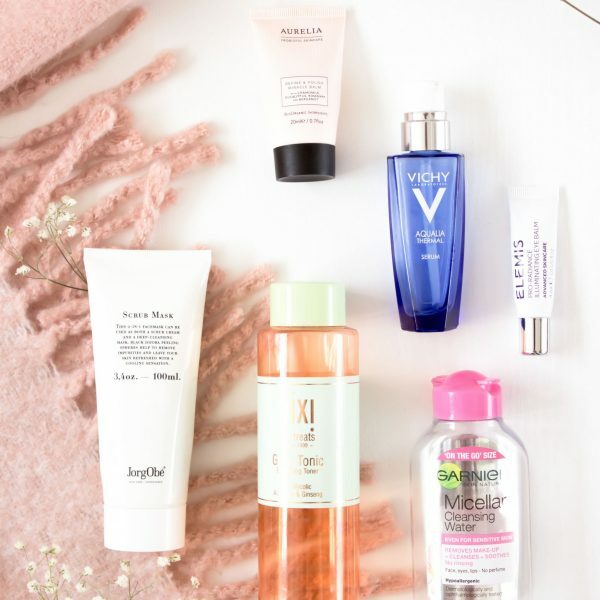 There are quite a few things which I have to share with you when it comes to new beauty purchases, so I have somewhat of a back log of posts to publish, along with a little giveaway for those who read my blog, just to say thank you for continuing to stick around. However, for now, let’s get down to business. The latest beauty purchase I have to share with you is one which I have had for over a month now (you see I told you I was behind). When I first took these photos it was still available on the main websites, however now it looks to be out of stock almost everywhere. I have managed to find it online on a lesser known website (at least to me), therefore I will link it below if you do fancy treating yourself or putting it up for Christmas for a loved one. 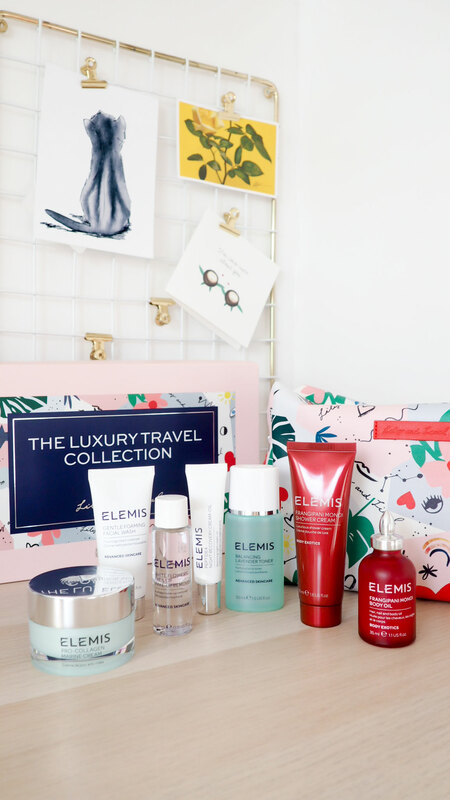 I am of course talking about the Elemis Lily and Lionel Luxury Travel Collection which is a collaboration between the two brands. It is a limited edition collection and like I say, it does seem to be a bit more difficult to find now unfortunately. It retails at £65 and is worth £101 so it is a great saving and a fantastic way to try some of Elemis’s bestselling products. I would also say at this point that Elemis travel sizes in general are, I think really generous in their sizes. I have had a few gifts with purchases in the past and have also been sent a few things too and I have always been rather impressed at the sizes of their travel products. 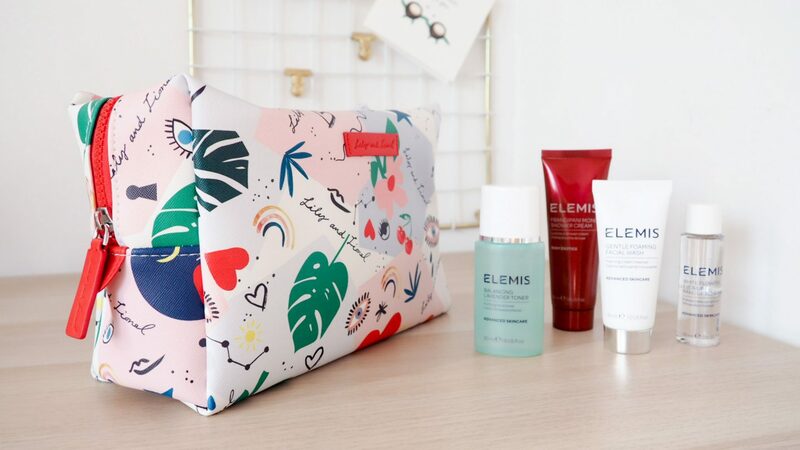 The Elemis Lily and Lionel Luxury Travel Collection for Her contains eight travel size essentials for both the face and body, it is the perfect travel bag which I also think is perfect in its design; I absolutely adore it. It is quite a sturdy bag and from the feel of it I should imagine it is also waterproof, so it is great for sitting in the bathroom when you are away for the weekend on business or on holiday. It looks quite small in the picture, but it is actually a rather decent size and it has plenty of room to fit not just your Elemis products but all of your other beauty essentials too. 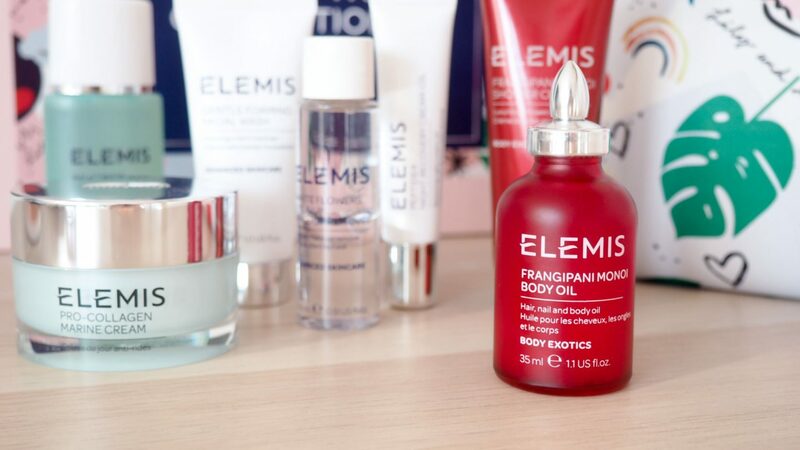 Having not that much experience with Elemis it will come as no surprise that all of the above products are new to me, which is rather exciting! As one would expect, I love to try out new beauty products. Given that, whilst I am unable to fully review the products themselves, I can recommend from Elemis their Pro Collagen Cleaning Balm which I have used until the very end and would recommend to everybody. 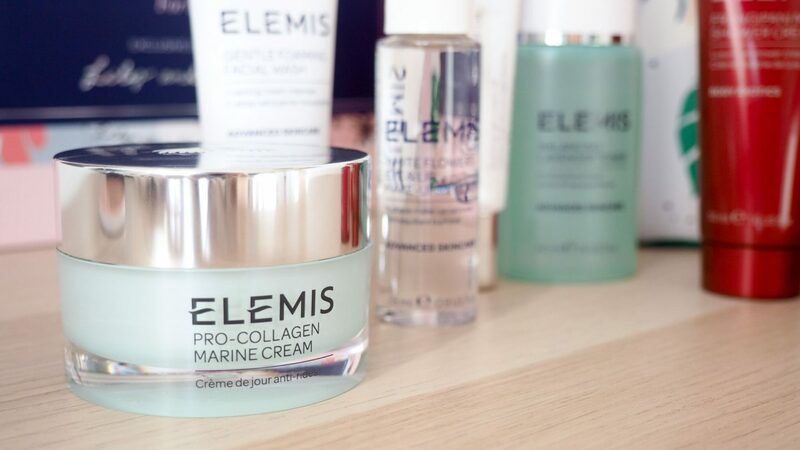 From this collection I am most excited to try the Pro Collagen Marine Cream which I know in itself is a rather expensive product which also has very good reviews, therefore to receive a 30ml within this collection is really rather impressive. I will report back on this in due course. For now I really just wanted to share this with you whilst there are still a few remaining online. I picked mine up from Feel Unique however it is no longer available, therefore I have managed to find it on the ‘Little Skin Shop‘ therefore head on over there if you like what you see. What would you recommend from Elemis?